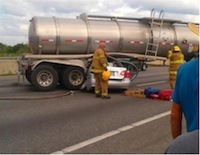 Truck accidents in Palm Spring and Riverside, California can be devastating. If you need assistance of trustworthy, aggressive, yet compassionate, truck accident personal injury & wrongful death accident lawyers in Palm Springs, CA, contact our experienced lawyers who can assist you with the complex details of your personal injury case or claim. From managing legal formalities pertaining to the case to coping with your injuries, medical care, medical bills, loss of a loved one or damage to a car, truck, motorcycle or other property or loss of income, you can depend on our injury accident legal experts. Our Palm Springs, CA attorneys and legal experts will pursue your rights and work in your best interests in order to obtain the best medical care and maximum compensation for your losses, be it for physical injuries, emotional distress, wrongful death of a loved one and/or property damage. Contact us by calling 1.866 INJURY 2 or 818-222-3400 (after hours dial extension 1) to tell about your personal injury claims or case and to get a completely FREE CASE EVALUATION & CONFIDENTIAL CONSULTATION. To know about our injury accident lawyers, feel free to check our lawyer profiles and also our many personal injury & wrongful death case testimonial pages. A desert resort city in Riverside County, California; Palm Springs is located approximately 55 miles east of San Bernardino, 107 miles east of Los Angeles, 123 miles northeast of San Diego and 268 miles west of Phoenix, Arizona. Based on the 2010 U.S. Census, the population of Palm Springs, CA was 44.552. 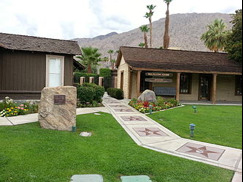 Covering around 94 square miles, Palm Springs is the largest city in the county in terms of area. Major forms of recreation in the nearby desert and mountain areas include biking, golf, hiking, horseback riding, swimming and tennis. Our Palm Springs, Riverside, CA truck accident attorneys take care of all necessary steps and will explain everything to you to help you get the required medical care you need and to recover the maximum compensation for your injuries and damages allowed under the Californian law for truck, car and other personal injury and wrongful death accident claims. Click Here, to use our 24/7 quick and easy contact us form and tell us about your Palm Springs, CA truck accident or other injury accident. We look forward to speaking with you and helping you resolve your personal injury or wrongful death accident claim in Palm Springs, CA.